Spring has arrived in San Luis Obispo and we couldn’t be happier. We were lucky enough to get our fair share of rain and it has left us with lush, green hills to hike, blooming wildflowers to see and inviting weather to take advantage of. What more could we ask for? Start planning your next San Luis Obispo getaway today and come enjoy your home away from home. From 6 to 9 p.m. every Thursday night, Higuera Street lights up with booths and vendors offering fresh local produce, iconic tri-tip sandwiches and live music galore. 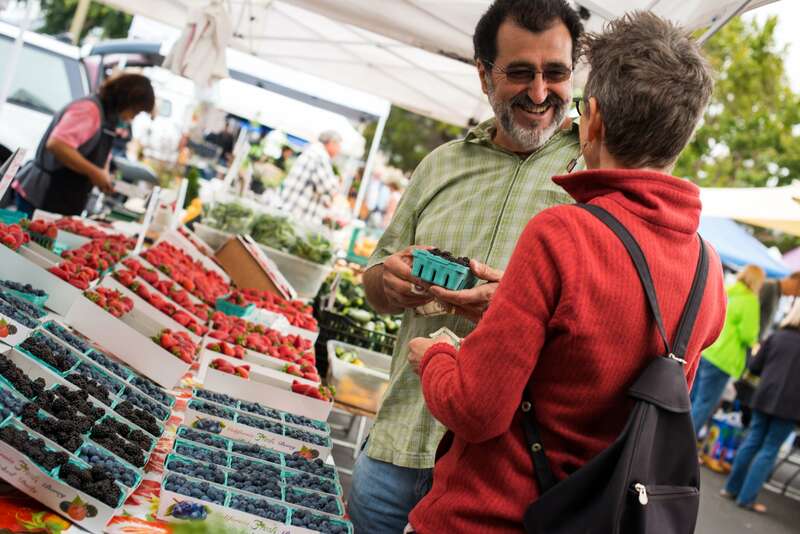 Locals and tourists alike stop by this world-famous farmers’ market to explore family-owned businesses and shop the streets of Downtown San Luis Obispo. Hop on the Old SLO Downtown Trolley, which picks up visitors from nearby hotels, and head down to this weekly event. With perfect weather and green hills comes great hikes – and there are numerous peaks with spectacular views for you to take advantage of in San Luis Obispo. 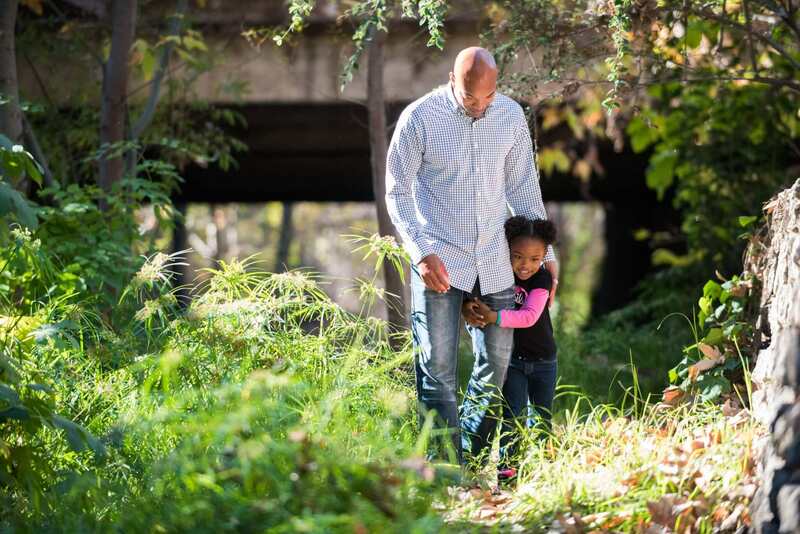 From easy to strenuous, there are hikes for all athletic levels. Take a walk up to Terrace Hill for an 0.8-mile easy walk with a plateau that overlooks all the city. Maybe hike up Cerro San Luis Natural Reserve for a dog-friendly option that offers three different routes. And, if you want a casual stroll, head to Laguna Lake for a two-mile walk around the lake with springtime wildflowers in every direction. Try some of San Luis Obispo’s best pinot noirs and chardonnays at one of Edna Valley’s many tasting rooms. Pick up some food and set up a lunchtime picnic to enjoy a glass or two in the warm sun with your favorite pals, then play some bocce ball, and grab a bottle to enjoy with dinner later in the evening. There are endless possibilities for wine tasting in the San Luis Obispo. Abundant rainfall this winter and warm spring days have brought on the much-anticipated California super bloom. From goldfields, tidy tips, baby blue eyes, owl’s clover to poppies, and lupine the hillsides of San Luis Obispo and surrounding areas are in full bloom and it is absolutely stunning. From beer tastings to walking history tours, your party can experience all of San Luis Obispo by the people who know it best. 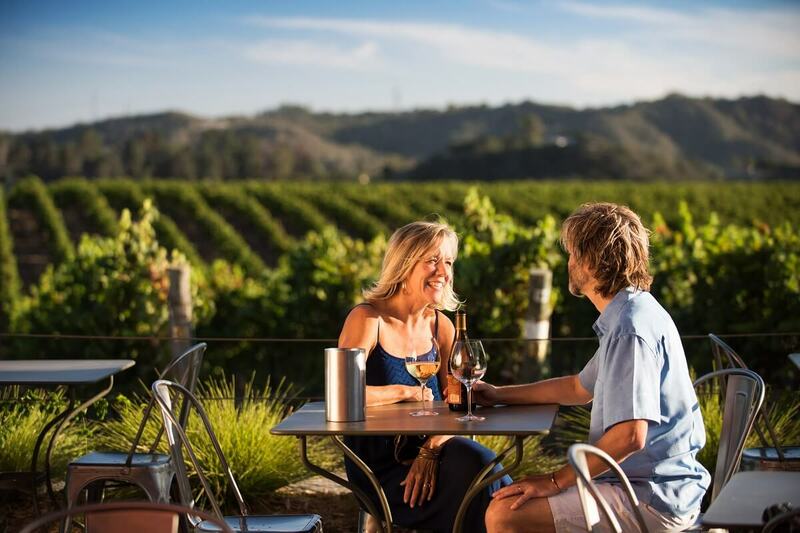 With guided tours for everyone and every interest, you and your friends will be sure to have a great time exploring the area’s best wine, craft beer, food, rich history and more during your springtime vacation. Enjoy a weekend of yoga, running, and camaraderie at the SLO Half Marathon + Relay Races. Start and finish at Madonna Inn, running throughout beautiful Downtown San Luis Obispo, by the green hills and past the San Luis Obispo Railroad Station. There are three different distances, including a half marathon, 5k run, and kids’ fun run. Purchase tickets for the 11th annual Flavor of SLO event, celebrating San Luis Obispo’s best food, wine, and beer. This family event takes place in the Mission Plaza and features live entertainment, tastings, and local dance groups. VIP tickets are also available for early entry and exclusive tastings. Shabang is an annual, fast-growing art and music festival held at Laguna Lake Park. With not one but three stages, this year’s “Shabang Reborn” has more fun, music, and experiences than ever before. Immerse yourself in the indie rock music of countless local bands and get ready to dance the night away. You won’t want to miss this beer and taco-filled event, slated to have the largest selection of breweries to provide tastings at a San Luis Obispo event. Local radio stations will be providing entertainment, and outdoor games like beer pong, corn hole, obstacle courses, and sumo wrestling.